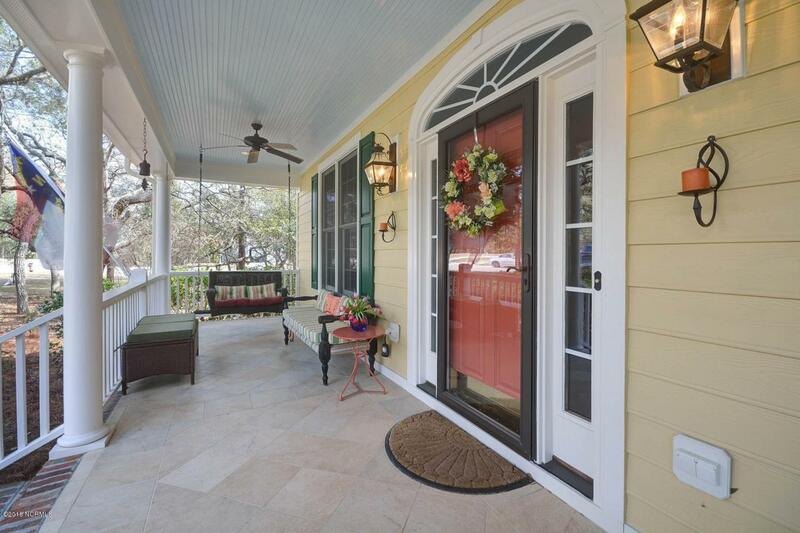 A charming Southport home one of the best kept secrets in town is tucked into the middle of the Harbor Oaks community... so peaceful, you can hear the Ferry horns at the nearby station, birds and sounds of the nearby marsh. 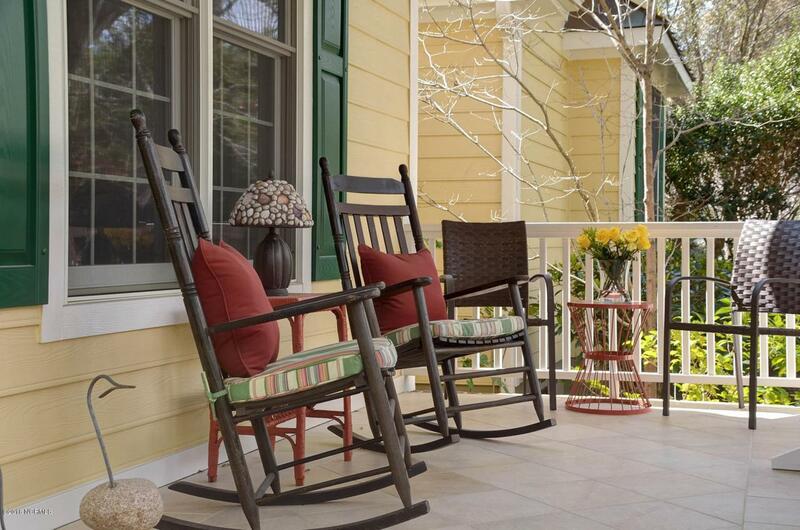 From the moment you step on the low country porch, you will feel the quiet elegance and comforts this home offers. 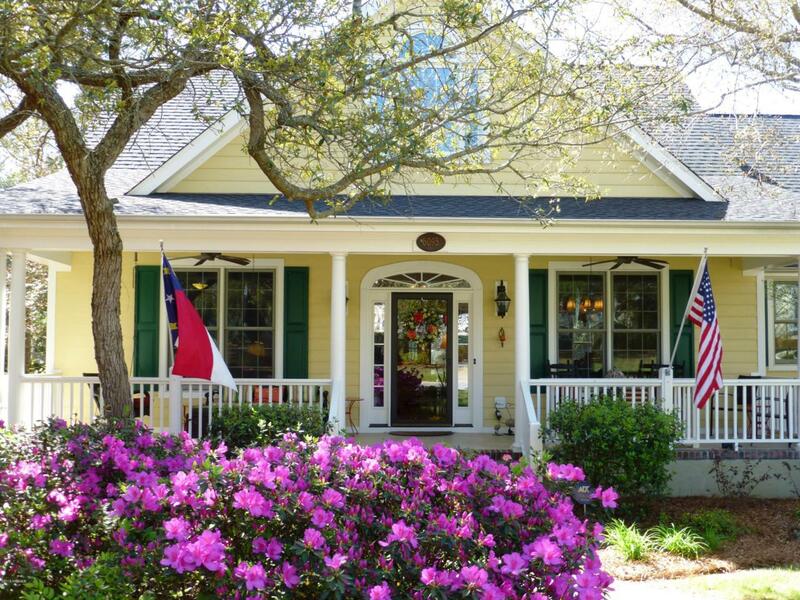 Inside, the main floor presents you with 3 bedrooms, 2.5 baths, hardwoods, fireplace and an inviting, tiled, year-round Carolina room. Upstairs is 835sf of additional living space complete with its own bar, sink, wine storage, and entertainment center. It could be a private guest suite with full bath, private entrance and a spacious 2nd floor deck. Outside is a building to use as a studio, workshop or convert to a guest suite. New AC system in 2018.The Studio/Workshop walls are insulated and it is heated and cooled. Check out the working cupola, patio and TV. There is also a greenhouse, well for irrigation, a fenced yard, established landscaping and large beautiful oak trees. The garage is over 700sf and has a half bath, storage cabinets, epoxy floor and dehumidifier. The versatility of this home includes your choice of dining areas: formal or the very roomy and sunny breakfast area with its own built-in display cabinet. Kitchen comforts include a natural gas stove, soft close drawers, large pullout pantry shelves, 2 heavy duty, pull-out small appliance lifts, central work island and a view to both the outdoors and living room. Even more kitchen storage is just inside the interior entrance to the garage. The laundry room is equipped with a sink, cabinets and counter tops. Ample storage exists throughout the home: attic, garage and below the Carolina room for bikes, outdoor furnishings and equipment. While the attic area in the upper eave of the home was finished to become a craft and sewing room, it could easily be a play room, sleeping area or controlled storage. Clearly, the owners chose comfort and efficiency when making upgrades to this home: thoughtful built-ins, extra lighting, master bedroom closets and bathroom "to die for," and 3M film on all windows for UV and hurricane protection. 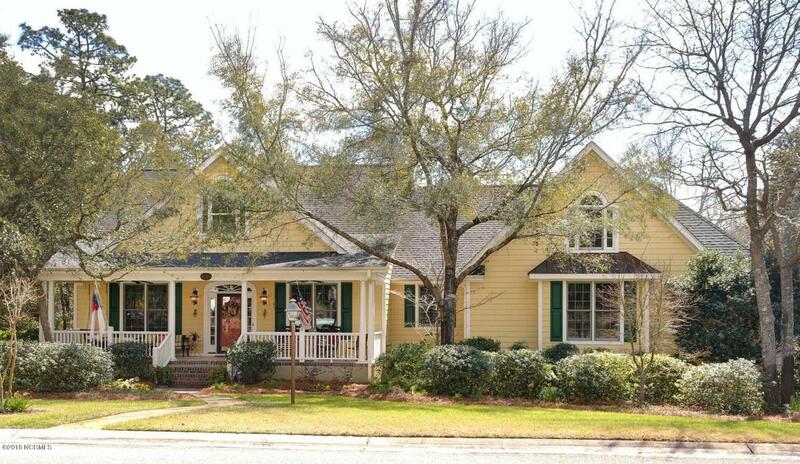 Listing provided courtesy of Jan Lefrancois of Re/Max Southern Coast.